All you need to create a solid story is a solid character arc. If you can do that, chances are good you’ve also written a book that will give readers a solid experience with story structure and theme. This is why the study and practical execution of character arcs has become one of my primary focuses, both as a writer myself and as a teacher of writers. Last year’s book Creating Character Arcs has proven to be one of your favorites of all my writing books—which makes me incredibly psyched! 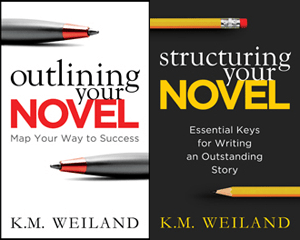 Strong character arcs create strong stories, and strong stories create happy readers. But learning about the fascinating evolution of a good character arc isn’t enough. You also have to figure out how to put it into practice in your own book. 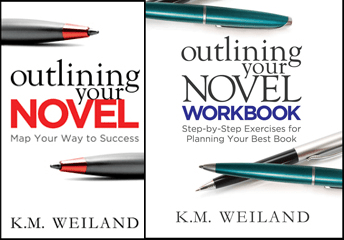 This is why I originally produced workbooks for Outlining Your Novel (which became a software program earlier this year!) 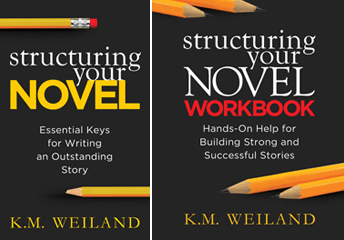 and Structuring Your Novel. And since you guys have spent the last year enthusiastically bombarding me with requests for a Creating Character Arcs Workbook, I’m happy to announce it’s finally here (and just in time for National Novel Writing Month prep)! 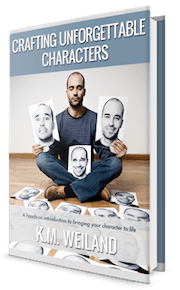 Creating Character Arcs showed you how to identify the five most important types of character arcs and use them to bring your own characters to life with stunning and powerful realism. Now it’s time to put those lessons to use! 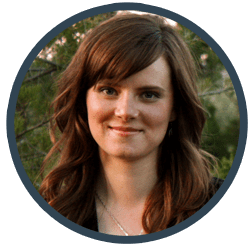 Building upon the principles you’ve already learned, the Creating Character Arcs Workbook presents a guided approach to choosing the right type of character arc for your story, joining plot and character into a cohesive and resonant whole, and choosing stories with life-changing themes. Grab Your Copy and Start Writing Your Best Story Yet! The workbooks are available in two formats. If you opt for the paperback, you can write your answers to the questions right into the book. But I wanted to offer it, once again, as an e-book (Kindle and Epub), since the digital versions are a more cost-efficient option for many of you. The digital version includes all the same questions and exercises as the paperback format, allowing you to brainstorm and write your answers in a notebook or on the computer (which makes the workbook totally reusable!). 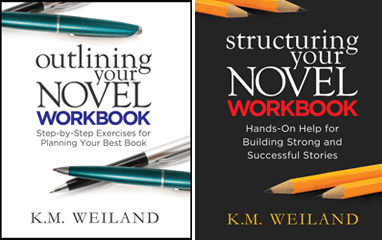 Grand Prize Winner: Outlining Your Novel, Structuring Your Novel, Outlining Your Novel Workbook, Structuring Your Novel Workbook, and Creating Character Arcs. My protagonist’s name is Eli. He undergoes a positive arc. My protagonist’s name is Amity Valkrie. She is currently working through her issues in paranormal short stories. Overall, I expect she will have a mostly positive character arc. Having lost her boyfriend to a murderous demonic possession, and having been temporarily possessed by the same demon, she is hunting it and encountering other evil entities she must subdue and send back to hell along the way. I’ve been following your site forever and a year now! 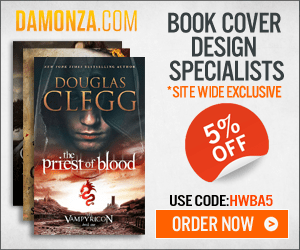 I’m excited about the writing books and would love to get my hands on a copy. My main character is a guy named Brenden who uses his clever brain to get by in the story. He lives in a Greek-esque world of gods, heroes, and monsters. B’s character arc is positive. He ends up going on a quest that changes who he is. My protagonist’s mane is Maya Anahita and she is probably going to have a negative arc in the first book. I have found good advice in some posts you have written. I look forward to K.M.’s posts on Facebook and my email. I forward them to my writers group to encourage them. There are two protagonists for the series. Marsena undergoes positive arcs through the first book, possibly a flat arc through the second and another positive arc for the third, though that may change as I edit and outline the rest. Landas undergoes a disillusionment arc (I think) in the first book and then positive arcs throughout the rest. Your books having helped me take me from wandering around in a discovery writing fugue to a completed novel. My MC is Martin Miller and he has a flat character arc. Actually, your post about flat character arcs and doubt fits him perfectly and resolved my question about whether he had a flat arc or a really shallow positive arc (overcoming his doubt). I’m in the very early stages, reading these comments has made me realise I have even further to go than I thought! My protagonist, Les, has a positive change arc that changes his life, making him a new man, a better man, and thus creating The Dragon Universe, Legends of a Hero and his Dragon (or, as his dragons sees it, Legends of a Dragon and his Prey-Animal). Her name is Rielle and she’s going from hopeless to hopeful. Positive character arc. I’m just exploring possibilities right now. Thank you for the giveaway! My protagonist is named Angelia, Lia for short. She has a positive change arc. I am still working out a lot of the details, but I love your books and your blog. I’m thinking of using a flat arc for one of my main sub-characters. Morning, Katie! Quick question… Is this character arc development built into the software? No. The developer and I have discussed updating the original program with modules for the other workbooks, but that’s a far-future project at this point. I recently bought your new workbook. I am hoping it can help me to somehow figure out my protagonist better and start writing my story. I have a question about lies character believes. My protagonist believes that she is unlovable. She is afraid of losing people she loves (Her Mother abandoned the family at early age, which is the wound.) She wants to pursue a dream, but is unable to stand up to her Father who wants her to pursue another path. She has no courage. So would the lie possibly be duty vs. love? The fatal flaw lack of courage? I’m just wondering how to fit the two together. Any ideas? Thank you so much! Hope to hear from you! Courage and fear are flip sides of one another, so definitely thematically related. I would dig down deep and figure out *why* she is afraid of defying her father. Her Lie is probably down there. K.M., thank you so much! I believe the “why” is she’s afraid of losing another person she loves in her life. She already lost her Mother at a young age and a boyfriend later in life. It is so difficult to figure these things out so I really appreciate the feedback! I’ve had this character and story in my head since I was a teenager and now I’m 51. Any advice for writing a first chapter? Yes, that sounds spot on! Good job finding the motivating Ghost in her backstory as well. Thank you K.M. Weiland for your books. They are helpful, instructive and inspiring, and most of all accessible for the budding author. Thanks!